Panasonic organization is a leader in the development of engineering and electronics technology. It has played an important role on customers whether the customers use the technology for residential, non-residential, mobility or for personal uses or applications. The company was established in 1918 and since then it has expanded globally and now operates 500 companies across the globe with a net sales of 7.74 trillion yen at the financial year 2013. Services for software and hardware devices. 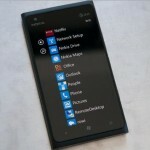 Nokia the leading company is into all the three fields which they offer through Nokia technologies and Nokia networks. 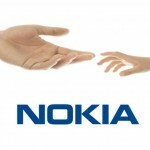 Nokia is one of the top and specialist in mobile broadband among other manufacturers or companies in the market. They operate with mobile technologies of each generation. Their global expert develops new technologies of customer need in today’s world. Finish telecom equipment maker Nokia Corp. Said that it is planning to acquire Panasonic’s third generation wireless base system business. 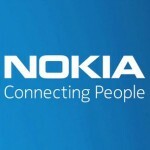 Nokia’s network arm has signed a memorandum of understanding to get a part of third generation wireless network business of a Panasonic system network company limited, Nokia said in its statement.. The agreement covers Panasonic’s mobile phone (LTE/3G) wireless base system for mobile operators and related wireless equipment system business it said in a statement. The two firms plan to conclude the agreement by the end of September this year.